Scroll Down to find the topic therapy of your choice. Do you want a Personal Phone or Skype Consultation with Tinfoil Hat Lady ? Let’s find new thoughts and a path for you to follow. You are a perfect holographic projection from the light of Creation. You respond to Vibrational Medicine. Your internal energy sources must be maintained to keep up the communication from the light, which offers a perfect blueprint of health for you. Chakras, which respond to sound and intent, are the mechanics of the energy flow of life. Vital inner esscence is expressed through thus system. When balanced and aligned they communicate the blueprints needed for perfect health. Your own vocal resonance, healing sound, body inversion or Reiki,will co-create wellness. Balance and align with Tinfoil Therapies. Encourage DNA and subtle Body healing with Jikiden Reiki treatments. TURN YOU AROUND on an Inversion Table, Tinfoil Hat Lady has an article on Inversion Therapy in 2016 Jan/Feb Wholife Journal of Health and Wellness. 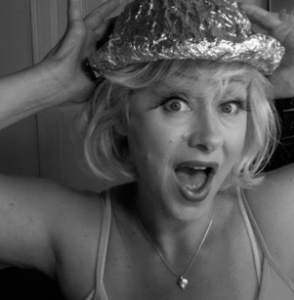 Tinfoil Hat Lady offers a safe space for Chakra Singing Bowl treatments, Healing Holy Harmony Frequency Experience, Allow time to get to know your Healing Voice or Explore Original Self Created Rhythms . She shares the power of natural micro-currents and frequencies for Heath Relaxation and Wellness with proven Electrical Therapies. The mysterious Art of Inviting Happiness. Method to Improve Body and Mind”. healing ability that humans originally possess. practitioner transmits the energy to the receiver. teachings Chiyoko Yamaguchi received from Dr.
Chujiro Hayashi, one of Mr. Usui’s prominent students. is Chiyoko’s 65 years’ devotion to it. client’s body. Reiki energy flows to where it is needed. to meet the needs of each individual. our natural ability to heal by encouraging balance within the body. recovery time in the healing process. However, by simply inverting your body at a 15-60 degree angle, you can decompress the spine, relax your organ systems and neutral out knees and hips. Even give yourself a natural face lift while toning your abs. For some people ‘Inversion’ is a great, simple natural body therapy. People who have heart disease, high blood pressure, eye diseases (such as glaucoma), or are pregnant are at higher risk for the dangers related to inversion therapy and should consult their doctors about it first. Also, if you suffer from ‘acid reflux’, or are over 280 pounds inversion on my table will not be for you. All Sound Therapy includes education on Cymatics, the generative, creative and transformative power of sound. Sound is the prime creative force in the physical Universe. All sessions allow optional experiential vocal toning and vocal support form TFHL. These tuning forks are Solfeggio tones created by Dr Len Horowitz. Tuning forks allow a cleansing and relaxing experience. Structured and Intuitive use creates an orb of sound. A healing sound wave builds, washing over your body/mind/spirit . This special meditative session, induces energetic ‘refreshment’ and a type of subtle body resetting. Ever wanted to get loose and let it all hang out? Curious about drumming dancing and chanting but too timid to join a drum circle? Tinfoil Hat Lady has built 3 amazing hoop drums and collected more. She loves to drum. TFHL created and lead some original drum groups here in Saskatoon at thanks to Spirit Works Books, Trent Deerhorn, Kelly Welk and Beauty Faulkner. Also DRUM DANCE CHANT held at the Refinery. Turn yourself around and try drumming it in a safe supportive space. Individual sessions focused on creating rhythm and vocal freedom for personal expression and healing. The patterns above were created by CYMATICS camera capturing patterns of human voice stimulation of Chakras. First was the word. Sound is the prime creative force. God said, let there be light. Chakras can also be balanced and aligned with Charkra Singing Bowl treatments. Session costs are based on the therapies used. TFHL’s Electrical Therapies are so super secret, they cannot be described in detail online. “At this time in history, there are a growing number of regulations controlling health and consumer products – regulations that limit the information we can share. We are grateful, that as consumer products, we are allowed to let you know that our products are for general health, well-being and relaxation. We do not have the freedom to share more specifically how others may have been helped with (our) products”. Mother Nature is electric. So are you you. They say for health stay hydrated and mineral rich. Why ? This allows optimum communication conditions for body cells. Saline to conduct through. It is hard to heal depleted tissues. Nutrition needs to be sound and supplements may be very helpful. Since many Magnetic Frequency effects are mediated through ions, especially calcium, sodium, and potassium. It is best that these ions and electrolytes are at normal levels in the body. Electrical Therapies are excellent products to support human health and wellness in a very natural and simple way. Based on micro-currents, pulsed magnetic fields, ozone, LED lights and healthy frequencies to stimulate the body electric for health and well-being, relaxation and energy. Ready to Turn Your Self Around…?? ?